Use of illegal drugs in the US has become a public health problem of epidemic proportions recently. Deaths related to overdoses from drugs including heroin, and prescription opioids have increased by more than five times since 1999. Opioid overdoses in the US have killed more than 42,000 people in 2016. For a 12-month period ending in September 2017, the overdose death toll was 45,000 indicating a significant increase in a short period. Worse, experts predict that the death toll from illegal drugs and prescription opioids will continue to climb for the foreseeable future. In the US, it is estimated that between 2.5 to 5 million people suffer from some form of long-term opioid addiction to either heroin, opium, or prescription opioids. The scope of illicit/illegal drug use in the US is more extensive than just opioids. Drugs such as; Fentanyl, MDMA (Ecstacy/Molly), GBH, Rohypnol, Cocaine, Amphetamine, Methamphetamine, Ketamine, and PCP are widely used and cause additional dangers to public health. Drug users, however, are increasingly turning to heroin and fentanyl, which are more potent and inexpensive. In parallel to the trend of drug use is a growing demand for substance abuse test kits and equipment. According to a report from BCC Research, the US market in 2016 for substance abuse kits and equipment for home and school testing based tests was $3 billion. The market is expected to grow to around $4 billion by 2022. In Europe, the testing market is estimated to be almost half of what it is in the US. “At-home” single-use substance abuse test kits are a cost-effective and straightforward way for an individual at home to detect the presence of illegal drugs present in urine, blood, hair, saliva and other deposits. These drug test kits will quickly recognize drug use, intoxication, and impairment. At-Home drug testing kits can give an immediate or very near-term preliminary result. It is recommended that if you receive a direct positive outcome from the at-home kit that a second test is done at a laboratory. Urine drug testing is the most widely used and accurate way to get a preliminary measure of recent drug use. The most basic at-home drug test type is called an immunoassay drug screen. Families, schools, and employers use immunoassay urine drug testing. Typically, urine drug test kits are manufactured by third-party private label manufacturers on behalf of the marketer or store. The kits themselves are a simple plastic cup with a closure or cap to seal the container. The plastic cup for the testing kit is typically made of low-density polyethylene (LDPE) or polypropylene (PP) plastic. Usually, the plastic cup will have an instructive label on the outside. The plastic cup is most commonly see-through and will also have graduated marks on the side to determine the amount of liquid in the container. The cups contain a particular reactive element that will turn a discernable color if drugs are present in the urine. There are dozens of different test kits which can detect individual drugs or combinations. 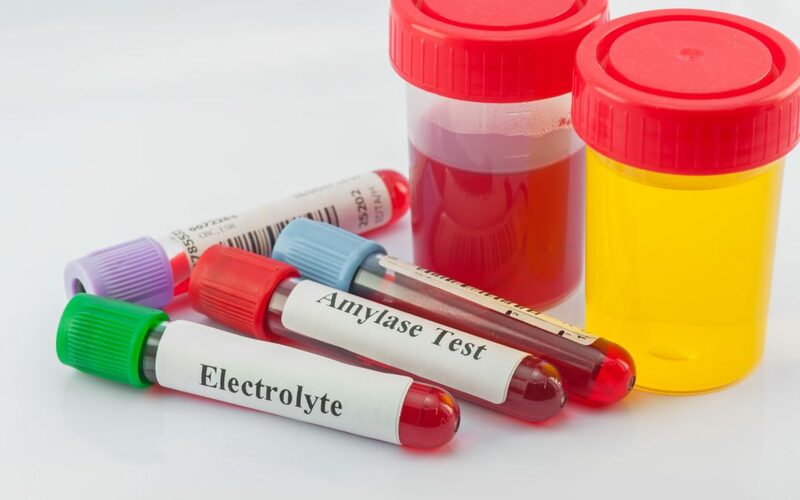 Most commonly, at-home urine test kits express the results as either positive or negative and will not quantify the amount of drug present in the body. If the immunoassay test comes back positive, a second test called gas chromatography/mass spectrometry (GC/MS) should be done for confirmation. This type of analysis also uses a urine specimen as with the immunoassay test. GC/MS tests are the most accurate and done by specialized laboratories and take more time to give results. Dalden Corporation is a private label manufacturer and capable of producing your private label urine immunoassay drug test kits at our Southlake, TX facility. Our custom blending service and precision filling equipment will meet your specifications. We have worked with large and small companies and look forward to hearing from you on your requirements.